Blaise Castle Estate was part of a 16th-century pleasure park to the northwest of Bristol, bought in 1926 by Bristol Corporation for public enjoyment. The castellated lodge of 1798-9, built to a design by Humphrey Repton, is now a grade II* listed building. Along the path into the estate lies an early to mid 19th-century Timber Lodge, also grade II* listed, described as “a thatch-roofed cottage naturelle clad in bark and ivy thrums”, though the thatch is no longer extant. Sadly this hasn’t survived the ravages of time well, needing substantial restoration. Further on is the similarly picturesque Woodman’s Cottage of 1798. 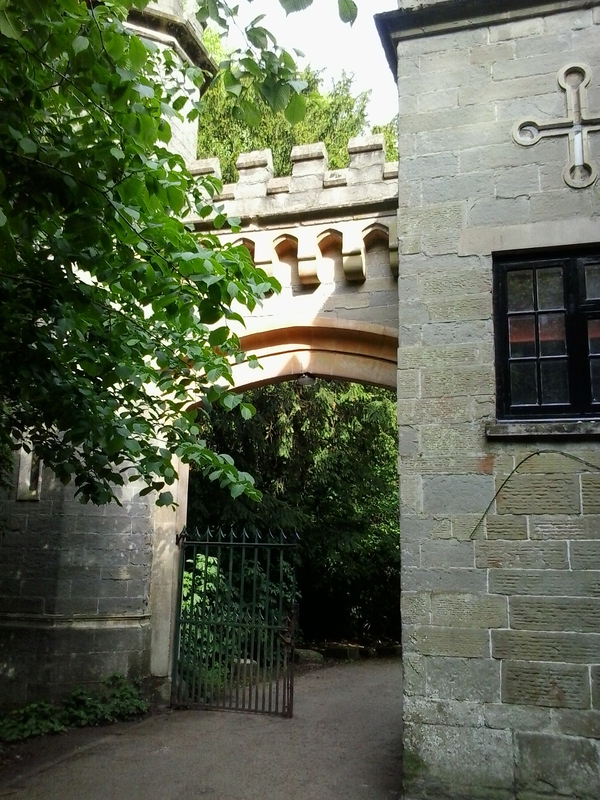 Late 18th-century gateway in then popular Gothick style.